Enjoy more books with unbelievably low prices. Book lovers up north, pay attention! 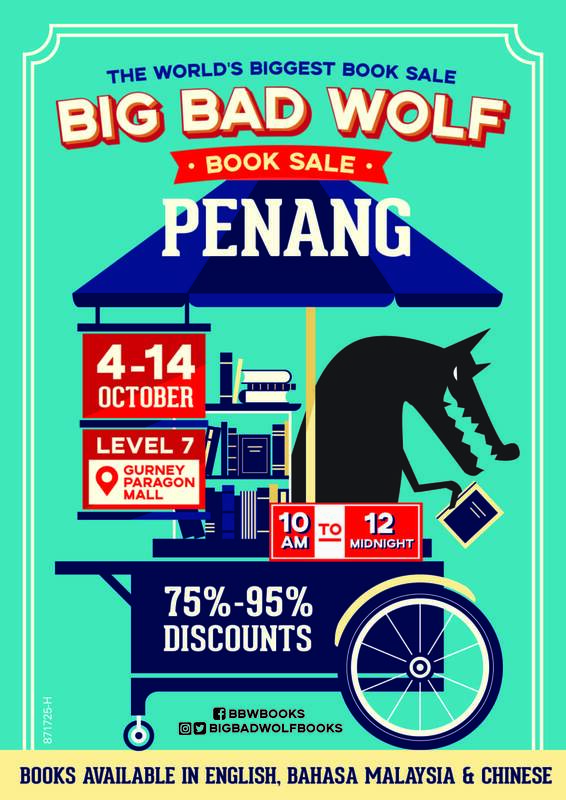 After two years, the well-loved Big Bag Wolf Book Sale is travelling to Penang again this week with big discounts up for grabs! 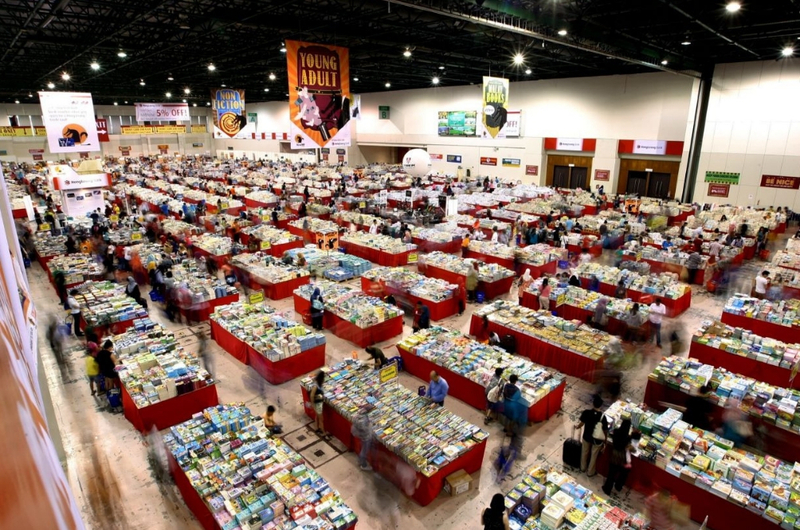 The world's biggest book sale will take place for 11 days from 4 to 14 October 2018 at Gurney Paragon, Level 7, every day from 10am to 12am. As always, the entrance is completely free of charge. All you need is a friend, a shopping list and a pair of sharp eyes to hunt down your favourite books. You don't even have to carry that much cash to the book sale because prices of almost all the books have been slashed between 75 to 95 per cent! You will find all kinds of books ranging from novels, sci-fi, crime, thriller, art and design, cooking, and many more, some for as low as RM8 each! Kids and young adults will also have their own diverse range of story books, educational books, activity books, young adult fiction, etc. There will also be books in different languages, including English, Bahasa Malaysia and Chinese. So there is definitely a book for everyone at the Big Bad Wolf Book Sale. "Earlier this year, we made a conscious decision to visit as many cities as possible - Melaka, Ipoh, Kuching and now we are making our way up north," Founder of the Big Bad Wolf Book Sale Andrew Yap said. "Visiting more cities within Malaysia has been our long-time goal to make affordable books accessible to a wider audience within the country. We believe that books can create opportunities, inspire people and also empower them to dream bigger." Besides books, collectors and vintage enthusiasts will also find wall posters, button badges and exclusive merchandise on sale at bargain prices. So Penangites, mark your calendars now! But for those who are living in other cities, don't worry. You can keep track of when the Big Bad Wolf Book Sale visits a city near you on their Facebook page. We hope this epic book sale will encourage more Malaysians to pick up reading because, why not? M'sians Prove They Are Not Broke By Snapping Up Limited Edition VWs In Less Than 20 Minutes! 15 Awesome Deals And Promotions You Shouldn't Miss This Merdeka!